If you are behind on your mortgage payments and worried your home will be foreclosed on, we're glad you found us. You may not be aware of your rights or of how the process works but that doesn't mean you should rushed into a decision or fail to get the expert assistance you need. We can explain your options to you clearly and provide you the help you need to move forward. We are conveniently located across the Tri-State area and welcome you to book your free consultation in any one of our eight office locations. Below, we cover the basics of foreclosure defense and go over loan modifications to give you an idea of what you can expect during each process. ¿Prefiere aprender más sobre la defensa de ejecuciones hipotecarias y modificaciones de préstamos en español? Haga clic aquí! Loan modification. This is a permanent change to your mortgage which might reduce the necessary monthly payment by extending the time you have to pay off the loan or it might lower the monthly payment sum by reducing the interest rate. More on this below. Refinancing agreement. Maybe you are not yet behind on your payments but see trouble ahead. You may qualify for a replacement loan which reduces your monthly payment. Repayment plan. Maybe your payment difficulty is temporary. You might qualify for a forbearance agreement, in which the lender reduces or suspends the payments required for a temporary period. Filing bankruptcy. If you are behind on your mortgage payments with no immediate way to bring them current, a Chapter 13 bankruptcy can extend the time you have to pay the overdue sums. A Chapter 13 filing can also, in certain circumstances, eliminate any second or third mortgages you have. Lastly, the filing can reduce the amount of unsecured debt you have, freeing up income to service your mortgage. Challenge the foreclosure. If negotiations with the lender are not going anywhere, maybe there are some irregularities in the paperwork or procedures that can be contested in court. Short sale. This option won’t save your home, but it could avoid the negative impact a foreclosure can have on your credit. A short sale occurs when the lender agrees to accept the sale price of the home instead of the outstanding balance as full payment of the mortgage. The lender then writes off the difference between what was owed the bank and what the bank received. Many of our clients have benefited from having us help to get their loan or loans modified; a loan modification can mean lower monthly payments, a lower interest rate, or even loan forgiveness. Here are some of the most frequently asked questions we hear. A loan modification is a permanent restructuring of your mortgage. One or more terms of your loan agreement are modified to make your monthly payment more affordable. Your lender might agree to extend the length of the loan, convert from a variable to a fixed interest rate, forgive some of the principal balance, or reduce the interest rate. Qualification requirements may be found below. How does a loan modification differ from a forbearance agreement? Loan modifications are permanent changes to your loan while a forbearance agreement offers temporary assistance. In a forbearance agreement, your lender agrees to either suspend or reduce your mortgage payments for a short time. At the end of that time period, you must resume full monthly payments AND pay the temporarily-overlooked amounts. 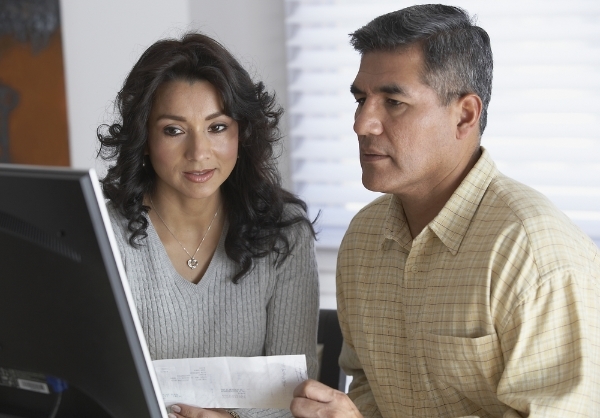 How does a loan modification differ from a loan repayment plan? Repayment plans are agreements with your lender to make up missed payments. This is usually achieved by spreading the overdue amounts over an agreed-upon time period that is usually six months or less. The extra payment amounts are added to your regular monthly mortgage payments until the delinquency is cleared. What is the government’s HARP refinance option? HARP stands for Home Affordable Refinance Program. If your loan is owned or guaranteed by Fannie Mae or Freddie Mac, you may be able to transform it into a 15 or 30-year fixed-rate, low-interest mortgage. What is the government's HAMP modification option? The Home Affordable Modification Program (HAMP) is a critical part of the Obama Administration’s comprehensive strategy to help homeowners avoid foreclosure, stabilize the country’s housing market, and improve the nation’s economy. This program has been extended through December 2016. HAMP Tier 1 – To be eligible for HAMP Tier 1, your property must be either a single-family home or a multi-family home with no rental income. The property must be the borrower’s primary residence. This loan modification is eligible for principal forgiveness, principal forbearance and 2% interest rate. HAMP Tier 2 – To be eligible for HAMP Tier 2, your property must be either a multi-family home with rental income being stated. Tier 1 modifications that have been denied can also apply for HAMP Tier 2. This loan modification is eligible for principal forgiveness; principal forbearance and interest rates usually start at 3.5%. Do I need to stop paying my mortgage to be eligible for a loan modification? No, and doing so will harm your credit. Most loan modification programs require only that you be at risk of falling behind in your payments. Do I need an attorney for a loan modification? How Do I Know If I Qualify for a Loan Modification? You are facing financial difficulties due to a life changing event. You still have enough steady income to make modified payments. You have interest in keeping your home as your primary residence or as investment property. You owe up to $729,750 on your primary residence or on your one-to-four unit rental property (loan limits are higher for two- to four-unit properties). The sooner you address your payment problems, the more options will be available to you. Whether you foresee future payment problems, are delinquent only a payment or two, have been served with a foreclosure lawsuit, or have received a notice to vacate your home from a marshal, we can help. On average, our clients are able to stay in their homes for longer periods of time even if mortgage payments are not being made. Let us seek a solution that lowers your monthly payment and keeps you in your home. Contact us at 1-800-LA-FIRMA (1-800-523-4762) or book your free consultation here.